Here it is – a real copy of the book a designed, sub-edited, typeset and illustrated during the summer. 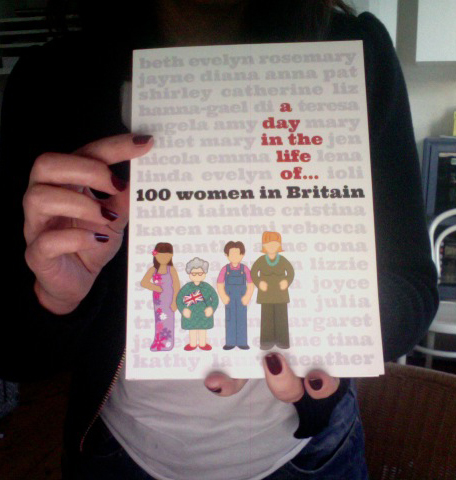 A Day in the Life of… 100 Women in Britain. The book launch was last Tuesday at Swindon central Library. Gots of thanks from the author, but little ‘promotional text’ from the press as promised, instead there’s an unflattering* photo of me with the author accompanying an article about the book and the charities it hopes to support. Mention of me only in the photo caption. Enjoyed the evening, esp. talking to author Margaret Bacon. * I think most photos of me are unflattering!